When your pipeline of B2B leads runs dry, you need a disruption. You need to deploy a marketing campaign that will turn the tides of lead generation back in your favor. Unfortunately, inbound marketing isn’t always an ideal solution. We all know that inbound marketing works, but it relies on your audience to take action. This makes it hard to accelerate quickly because it takes time. Now, imagine you had a way to push a steady stream of leads into the funnel at will, by supplementing your inbound strategy with an outbound non permission based email campaign? In this post, we’ll explain how B2B marketing and sales teams make non permission based email marketing work for their business, and the right way to go about it. 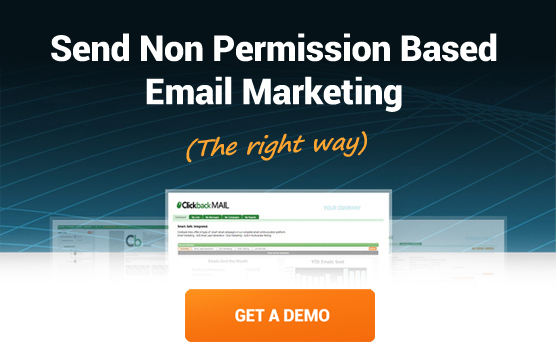 Non permission based email marketing puts you in front of an audience you may not have reached otherwise. Instead of waiting on potential leads to find you, you can reach out to cold and purchased contacts and start the conversation. This can speed up the lead generation process and keeps your pipeline flowing consistently. But is it really possible to send relevant emails without opt-in? The truth is, sending valuable business solutions to a relevant industry-related list of contacts isn’t spam. In fact, some marketers look forward to receiving these unsolicited emails to study and learn from best practices in outbound email execution. 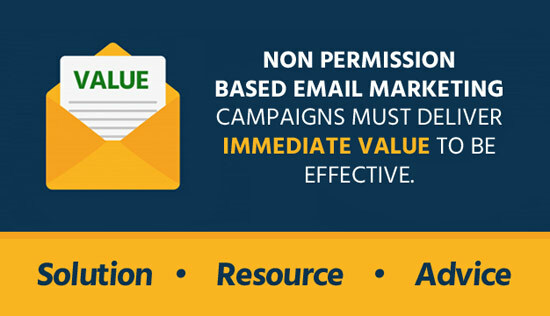 On top of being relevant and valuable to the user, non permission based email marketing must be carefully delivered. The unsolicited nature of a cold email campaign creates many challenges for marketers that are used to opt-in campaigns. For example, if you try to send an email campaign to a large list of cold contacts using a traditional email service provider, you’ll like get your IP blacklisted quickly. That’s why Clickback MAIL lets you send your non permission based email campaigns using their IP’s so your business’ sender reputation remains untouched. As a few of the marketers stated in the discussion above, overly aggressive outbound email campaigns are likely to earn spam complaints. Nobody likes a pushy salesman going in for the kill on introduction, especially when they’re showing up at your door uninvited. Think of outbound email the same way. You need to prove to your audience that you have something that will deliver immediate value to their company. A B2B audience is smart, resourceful and most importantly, busy. Don’t waste their valuable time with a pushy email asking for a favor when they don’t even know who you are! It amazes us how many B2B marketers expect results from such an uninspired effort. Instead, use this opportunity to offer up valuable information that will lay the foundation for a long-lasting digital relationship. Share helpful industry-related resources and show your cold contacts you not only know what you’re talking about but have something to offer. A poor product or service will never succeed using outbound email. Even the most brilliant and captivating copywriting cannot overcome a lack of business value. If your email campaigns are getting delivered (and opened) without converting, it’s time to look at the offer itself. However, if you’ve got a winning business product or service to offer, cold email marketing can be an incredible way to scale. The lead generation power and affordability of email marketing is truly remarkable, and thousands of business’ have realized this potential. Case Study: How one Clickback MAIL client generated over $30K in annual recurring revenue from a single cold email campaign. The point is – if what you are offering is a tough sell to begin with, don’t count on an email campaign to a purchased list to bail you out. There are enough challenges with this type of marketing even with a great offer, so focus on refining the true value your business provides first. 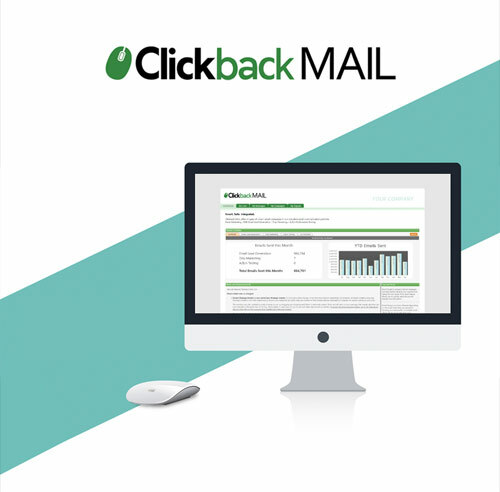 Clickback MAIL is designed specifically for non permission based email marketing. It allows you to reach out to cold and purchased contacts and encourage them to opt-in, creating warm, permission-based leads for your sales and marketing campaigns. What’s more, it allows you to do this in a risk-free, CAN-SPAM compliant environment. What does Clickback MAIL bring to the table that other marketing automation and ESP options do not? Clean data. Unlike your ESP and marketing automation platforms, Clickback MAIL cleans your data upon import. This ensures that inaccuracies, redundancies and spam traps are removed before you send your first non permission based marketing campaign. With clean data, you enjoy optimal deliverability. Reduced bounce rates and spam trap removal keep your Sender Score high and your IP safe from blacklists. Plus, you don’t waste valuable time and resources marketing to dead accounts. Once you’re able to wrap your head around the idea that cold contacts can (and will) actually read and engage with your content, the next reaction is usually an exciting one. For business professionals that realize the power of a strategy with a tremendous opportunity to scale, non permission based email marketing makes a lot of sense. 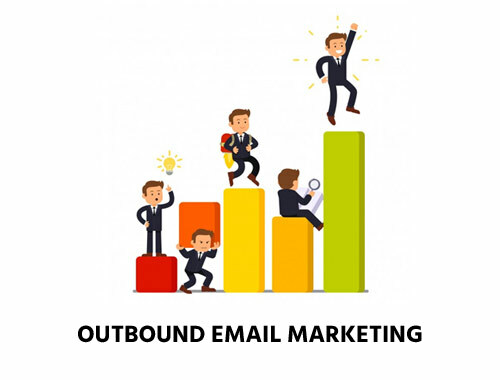 Outbound email marketing is a way to tap into an unlimited supply of potential leads. By purchasing a new list of targeted cold contacts, you can replenish this supply of prospective customers. Quality contacts are professionally vetted for non permission based marketing, meaning you’ll be reaching out to parties who have shown a genuine interest in your industry. Leads that convert from your campaign by way of subscribing to your opt-in list can be further nurtured to close, while the warmest leads will be ready for sales. The Clickback MAIL email lead generation software was built for one specific purpose, turning cold contacts into warm B2B leads. The following resource is available for those of you looking to get started with non permission based email marketing. It explains the lead generation potential of purchasing a list of industry-related contacts for the purpose of email marketing. This article was originally posted on June 29, 2017, and updated on June 28, 2018.